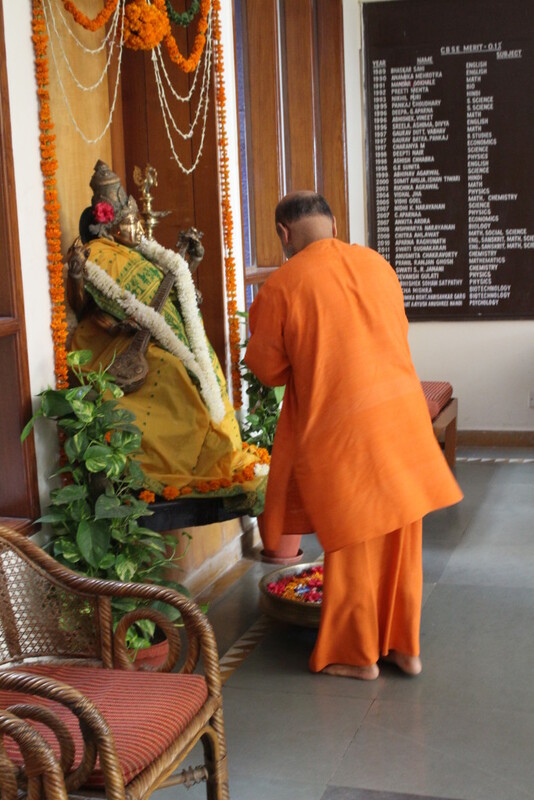 Pujya Guruji Swami Tejomayananda ji visited the Chinmaya Vidyalaya on Oct 20th, during His yagna in Delhi. 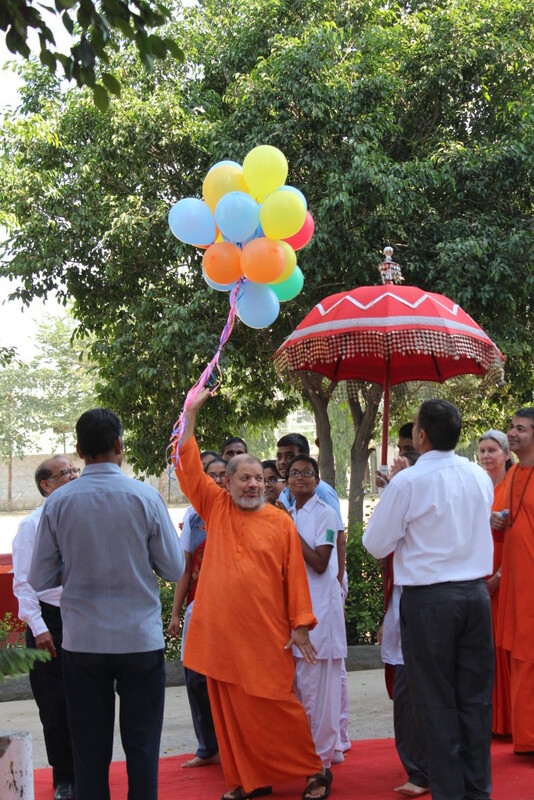 The Vidyalaya wore a festive look with flower rangoli at the Reception, balloons on the main pathway and cheer in the hearts of all students and teachers. 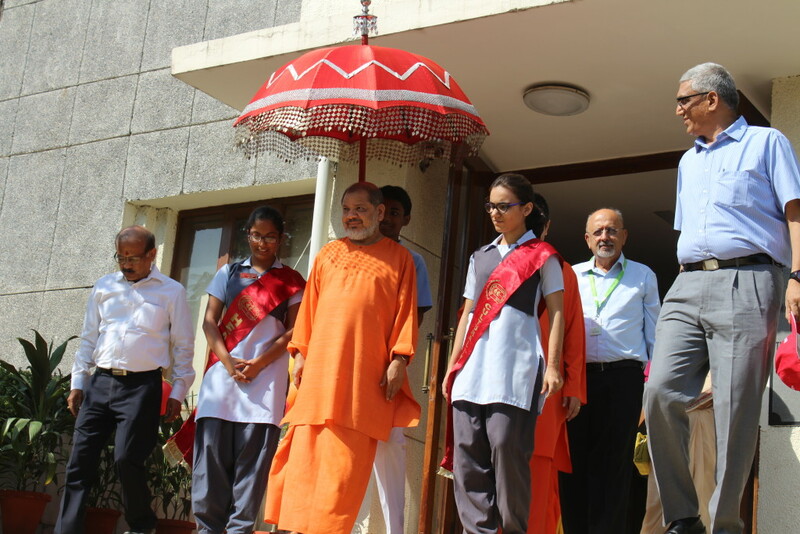 Received with panchvaadyam (one of the Vidyalaya students and his father were part of the team playing) Guruji was escorted to the basketball court where students of class 6-12 had assembled. The entire gathering stood up to receive Pujya Guruji with the poorna-kumbha. A Swagat Geet (Aap ke aane ki sabko thi prateeksha, aa gaye..) was sung by the choir group, as Guruji was escorted to the stage. A short Guru-aradhana was done with panchopchaar, and the school resounded with everyone singing a Shri Ram-naam keertan. 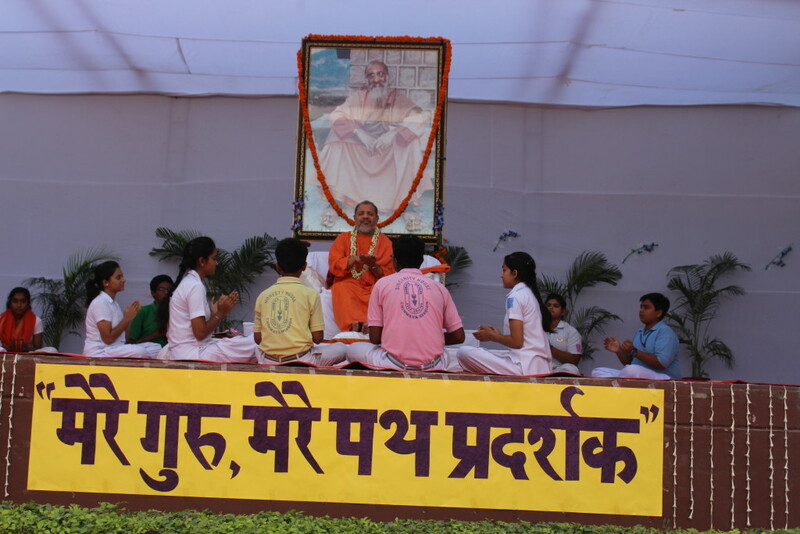 Guruji addressed the students and advised them to stay focused, and always remember that they had come to gain ‘Vidya’. 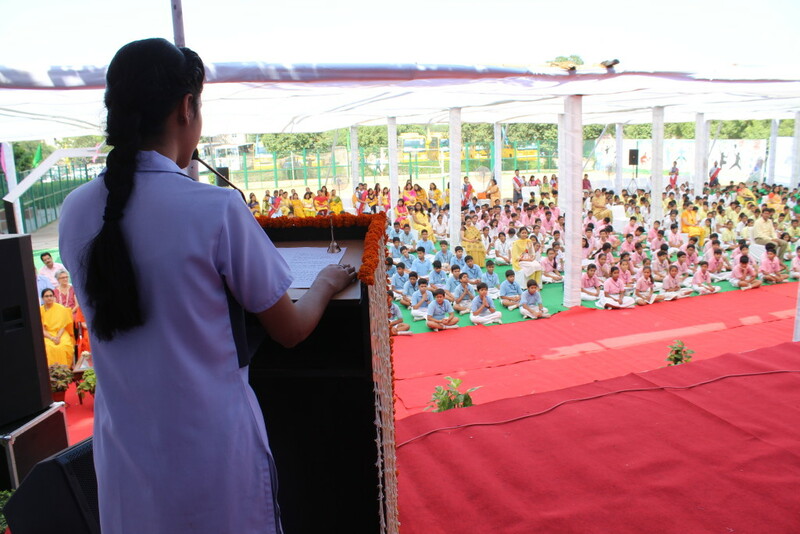 ‘Saavdhani hati, durghatnaa ghati’ was a reminder that shall remain with all students. 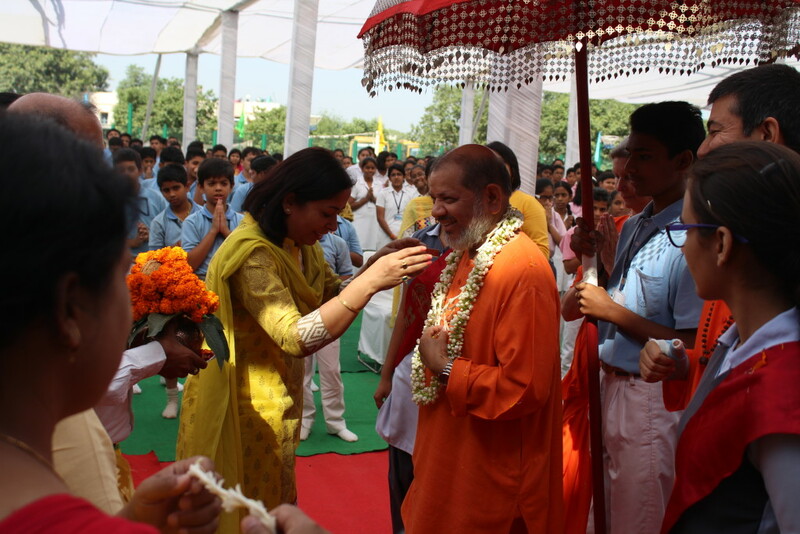 Cards made by each class were also offered to Pujya Guruji – expressing love and gratitude to the Guru Parampara. 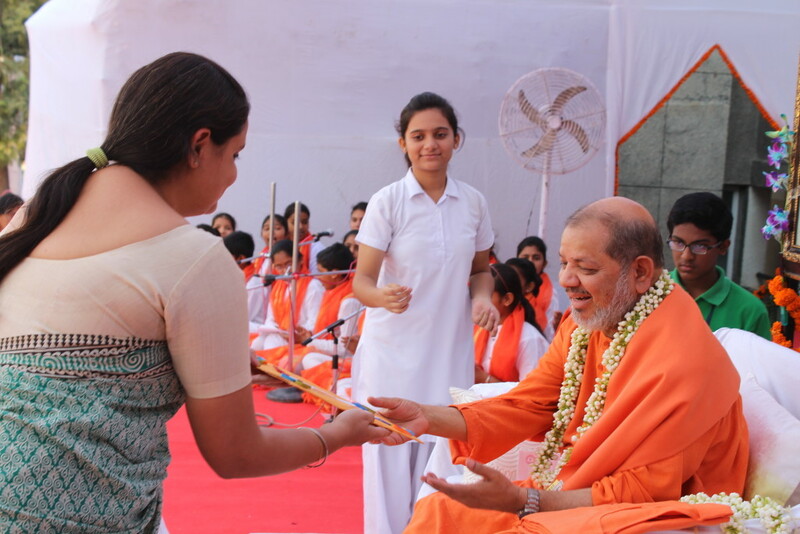 Students received Pujya Gurudev’s commemorative coin as Prasad. 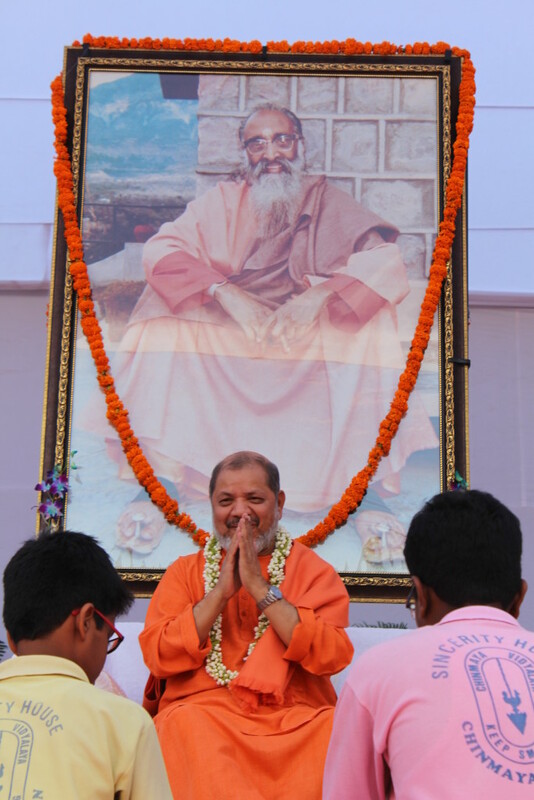 Subsequent to that Pujya Guruji addressed the teachers and staff sharing words from the Taittiriya Upanishad, which state that the sandhi (that which joins) between the students and teachers is Vidya. 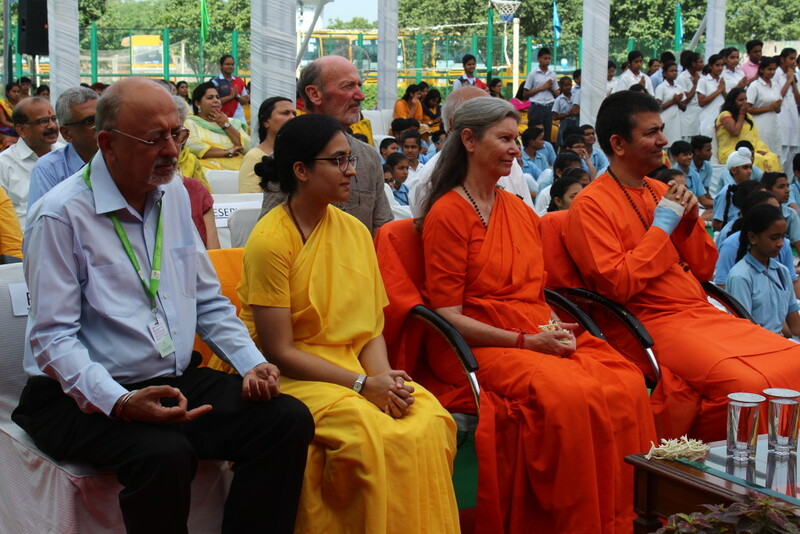 The teachers have come to impart vidya and the students have come to gain vidya. If that is done, then there is peace and joy. Pujya Guruji’s explanation of the Shanti Mantra (Om Sahanavavatu…) was a reminder for all – to give their best.